Welcome to Hooked on Cycling and our Cycle Superstore. The Hooked on Cycling Bike Shop is based in Bathgate, West Lothian and is the premier bike shop in Bathgate (established in 1997). Our bicycle store is a specialist independent cycle dealer in West Lothian stocking the major brands of Colnago bikes, Scott bikes, Kinesis, Sabbath Frames and Dawes Bikes. We have a range of bikes on display for the road, mountain trails, leisure riding and commuting. We have the largest display of Colnago bikes in Scotland. We are one of Scotland’s premier road bike fitting specialists; all our road bikes purchased come with a complementary fitting ensuring that they are of the correct size and set up for maximum comfort and performance. We also stock a full range of accessories, cycle shoes and helmets. In our bike shop in Bathgate we have a full road bike fitting system in store, using the Bici support fitting system. We are a Q-Ring fitting specialist, with over 100 Q-Rings fitted in 1 year to our customer’s bikes. In our cycle fitting studio we have the British Cycling Watt Bike; one of the most accurate ways to measure your power output and your spin cycle. Our Watt Bike is also available to rent for time on it from locally based coaches. We have a full equipped workshop with Cytech approved mechanics, who are happy to assemble a custom design bike from our top quality frames (Colnago C64, Colnago V2R or Scott Addict RC) and accessories. 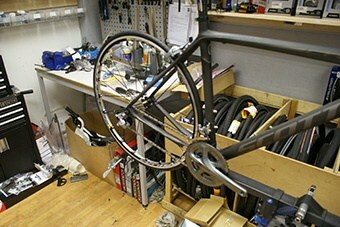 We are also DT Swiss approved wheel building specialists. We also provide bike rental on request. 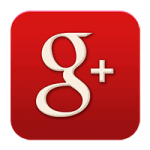 Indeed whatever your cycling requirements are the Hooked on Cycling Cycle Superstore can do the utmost to help. 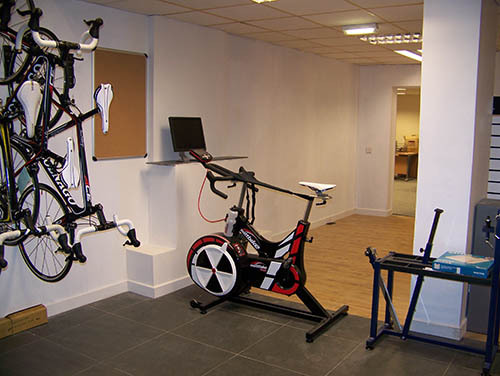 We have a Watt-bike which was designed for British Cycling Federation to measure and provide data for power and fitness for elite cyclists such as Chris Hoy. 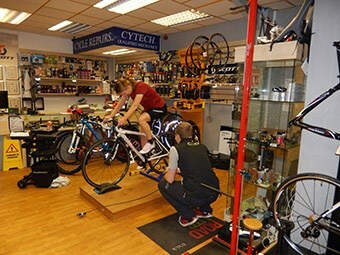 We provide a professional bike fitting service from our Cytech approved mechanics. I have spent far too much money here!! The attention to detail and customer service is unsurpassed - especially for custom builds and professional level bike fits - as standard!